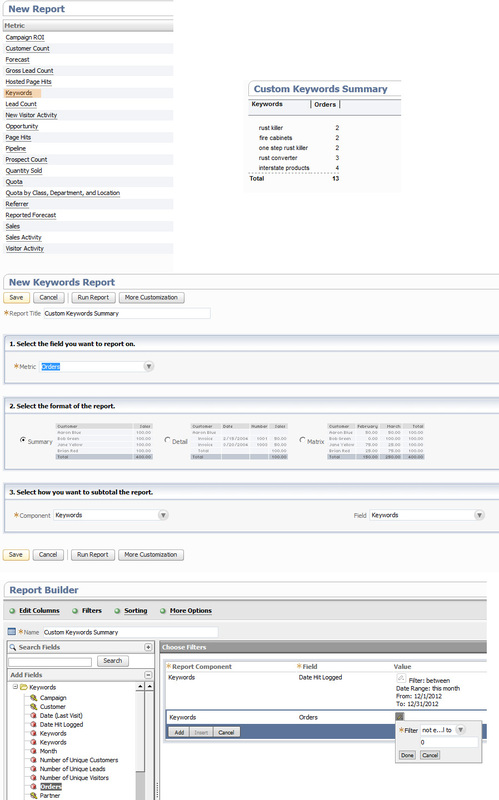 Start by creating a new Report on the Keywords metric. You can select Orders to report on and customize orders NOT equaling 0 (or greater than 1). This shows us what customers searched for before purchasing.